Our #BecauseNoReason campaign for Chambord has been a huge success in positioning the brand as the champion of doing what you like. So we have just launched a series of 'how to' drink films. Each focuses on a different cocktail. Each is easy to follow. Forget bartender dos and don'ts. The internet is awash with such 'how to's. YouTube is alive with instructional AV. It's so on-trend that over 100million hours of such content have already been watched in the US so far this year alone. To stand out from the crowd, we used targeted pre-roll to speak directly to our audience – the women feeling under pressure not to be themselves. We reminded them not to worry about being the perfect host. We assured them having the perfect style wasn't essential. Instead? Sit back and shake up a Chambord cocktail. You can view the fabulous four films here. And below. And then get making those Chambord cocktails at home. You know, #BecauseNoReason. We were rather spoilt at the beginning of the week with some fantastic award wins from Creative Review and D&AD. We were lucky enough to be given two awards by each, not bad for a Tuesday! Here's a chap enjoying (we think?) 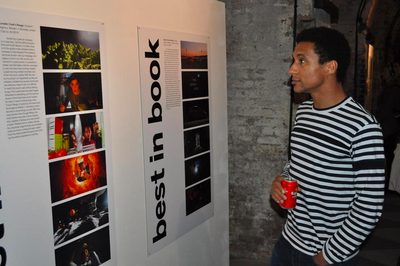 our Lurpak and Honda work at the Creative Review Annual party last night. Closer to home, our Spitalfields neighbours at D&AD awarded Chambord 'Because No Reason' two pencils (rather fittingly) for 'Writing for Brands' and 'Writing for Design.' Nice. Bonjour and happy Bastille Day, mes amis! As well as being the day France celebrates the French Revolution, today is also the day we launch something with a bit of French flavour. 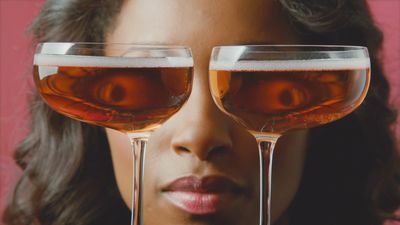 The 30" TV ad, directed by Nick Gordon, breaks tonight during Big Brother, kicking off the playful, colourful and surreal new #BecauseNoReason campaign. With our first campaign for the brand, we wanted to tip our chapeau to Chambord’s ‘Frenchness’, but we also wanted to make it modern, exciting and unpredictable. 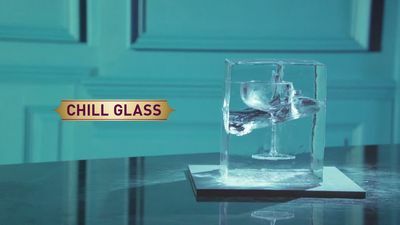 Chambord's #BecauseNoReason attitude encourages people to do what they want and follow their own rules in the age of overwhelming pressure to look the right way, do the right thing, take the right pictures and say the right things. We wanted to give Chambord a personality that would thrive in social and beyond, and so today we're also rolling out a social campaign that will promote the #BecauseNoReason attitude at key moments throughout the summer, when people are most vulnerable to bowing to social pressures – festivals, fashion shows, that crucial Saturday night go-out-or-stay-in moment. 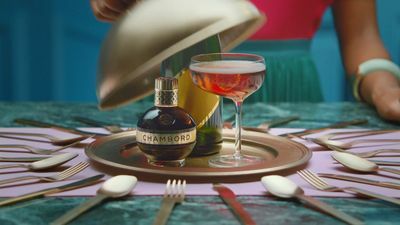 Fans will be given bright and witty doses of encouragement across Facebook, Instagram and Twitter, all in Chambord’s ‘absurd logic’ tone of voice. Keep your eyes peeled for much, much more over the coming weeks. Top with the fizz of your choosing. And finish with a raspberry. Allez! The trumpets will not toot themselves.